Come for a presentation by Craig Chartier, project archaeologist for the ongoing work at Taylor Bray Farm in Yarmouth Port, MA. "Taylor-Bray Farm is unique...I can't think of another site like this. 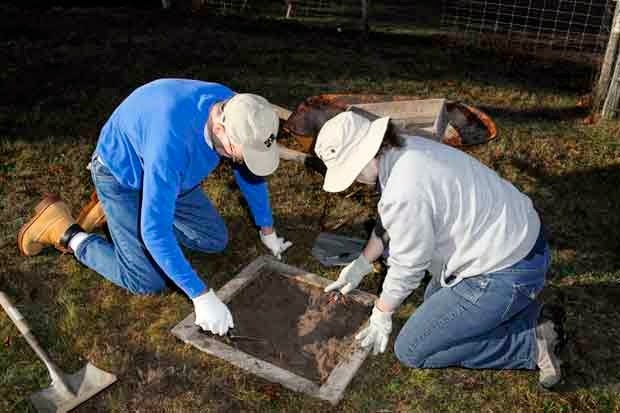 We will be able to compare the material found here with other local and regional sites to better understand many aspects of prehistoric and early historic life...the farm also has great potential to educate people about the importance of archaeology and the need to preserve & protect sites like this." ...Craig Chartier, project archaeologist. Discover the past accomplishments and ongoing efforts to understand the Yarmouth Port farm's prehistoric and early historic life. Seasonally occupied by Native Americans approximately 3,000 years ago and settlers since around 1639, it provides a rare snapshot of the agricultural north side of the Cape.